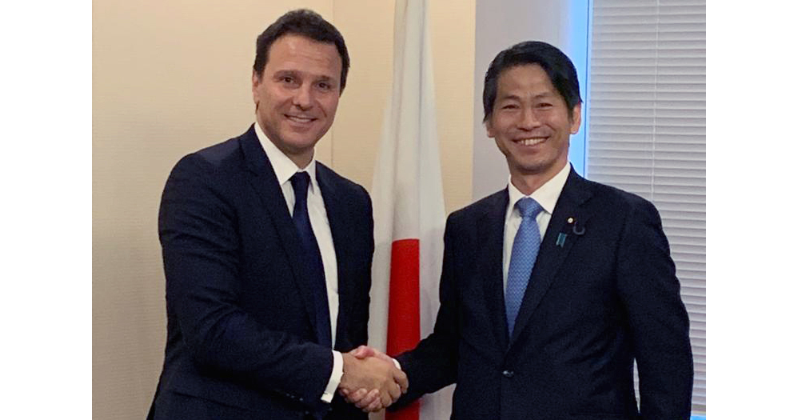 Tokyo — Unitaid Executive Director Lelio Marmora and Parliamentary Vice-Minister for Foreign Affairs of Japan Kenji Yamada met today to discuss a new alignment between Japan’s global health priorities and Unitaid’s work in fighting tuberculosis. The support of Japan will allow Unitaid to carry out two clinical trials whose data will inform World Health Organization (WHO) policy on shorter, better, less-expensive treatments for multidrug-resistant tuberculosis. The United Nations (UN) and WHO have made eliminating TB a target.